The Maruti Suzuki Swift may have kick-started the premium hatchback segment in India, but the car that gave the segment its definition is the Hyundai i20. With a kit brimming with features and quality to match, the i20 became popular almost instantly. 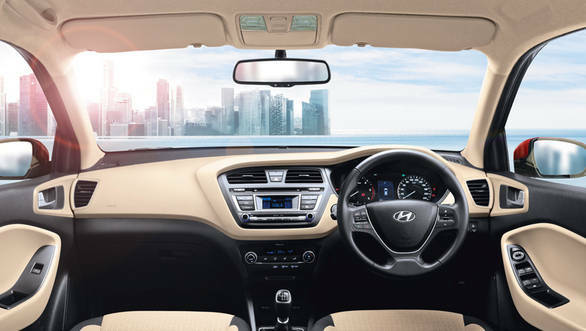 In fact, it's gained so much popularity in the country that the second-generation i20 made its global debut in India through a commercial launch in Delhi on August 11, 2014. 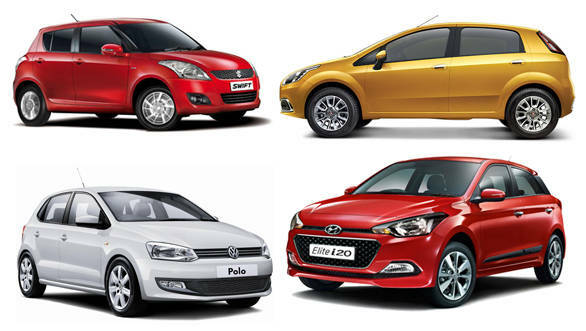 The Elite i20's most notable natural rivals are the Maruti Suzuki Swift and the recently refreshed Fiat Punto and Volkswagen. 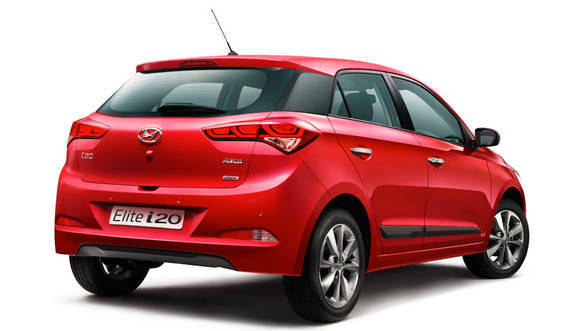 Out of this brigade, the Elite i20 is the only all-new car and therefore comes with the maximum number of advantages too. Design has been Hyundai's forte in recent times and the i20 now sees the transition from the older Fluidic Design philosophy to the new storm-edge design direction that debuted with the Santa Fe. The result is a sharper looking car. The headlights, which sweep far back toward the A-pillar, could remind you of the similar treatment given to the new Punto Evo. These sport more complex detailing though. As do the taillights. The bean-shaped tail lamps have made way for elongated units, which have hints of Kia's design to it and look premium nevertheless. 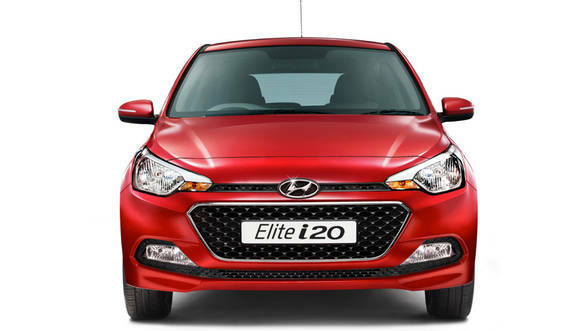 The Elite i20 features a blacked-out C-pillar to give the illusion of a floating roof. Though incorporated at the opposite end, the 'blacked-out pillar' theme seems to be borrowed from the Swift. The Elite i20 features 16-inch diamond cut alloys on the range topping trims and looks very similar to what you get on the Grand i10 and the updated Verna. 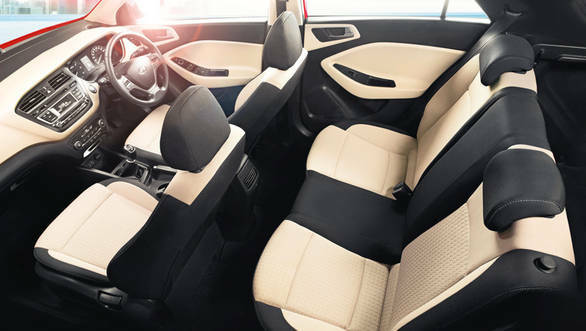 The interiors of the Elite i20 follow the Grand i10's theme and have a conservative yet likeable design. There's the familiar black and beige colour scheme and the centre-console is driver-centric. It incorporates a 2-DIN audio system with a 1GB data storage capacity and the feature is standard on all but the base trim. Speaking of features, the Elite i20 very closely missed being segment first in incorporating the follow-me-home headlights and rear AC vents, as the Punto Evo introduced them just a few days back. Nevertheless, the Elite i20 gets two rear AC vents and the headlamps are also automated, meaning they're activated any time the surroundings go dark. The car also gets some useful features like a push-button starter, a cooled glove compartment, a driver's seat armrest and lighting for the boot. Carried over from the outgoing model are features like parking sensors with a reversing camera, electro-chromatic rear-view mirror, Bluetooth telephony and ORVM mounted turn blinkers. Like the new Polo, the Elite i20 also gets climate control. By improving on its already long list of features, the i20 now makes the likes of the Swift seem aeons behind their times. Unlike its rivals, most of the i20's features are available from the mid trim onward, making it an offering that brings in more value for money. A downer though is that the six-airbag kit available on the older i20 has gone for good. The Elite i20 only gets two airbags now and only on the top-spec Asta trim. Under the hood, the Elite i20 has the same engine options as the outgoing i20  a 1.2-litre Kappa2 petrol and the 1.4-litre CRDi diesel. Out of the four cars compared here, the Punto offers the largest petrol engine  a 1.4-litre FIRE mill that puts out 89PS and 115Nm. The Punto also comes with a 1.2-litre option though. Out of the four 1.2-litre petrol engines that can be compared, the Swift's K-series engine is the most powerful with an output of 87PS and 114Nm. The Elite i20's Kappa2 follows with 82PS / 115Nm, the Polo's 1.2 MPI with 75PS / 110Nm and the Punto 1.2 FIRE comes right at the end with a measly 68PS and 96Nm. Both, the Elite i20 and the Swift claim the highest fuel economy of the lot at 18.6kmpl. The Polo follows with 16.47kmpl and the Punto 1.2 claims 15.8kmpl. On the diesel front, the tables turn in the Polo's favour with its new 1.5-litre TDI engine being the biggest and the meanest of the lot with an output of 90PS and 260Nm. 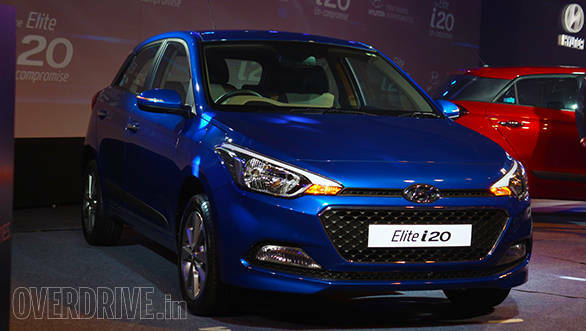 The Elite i20 comes close with its 1.4 CRDi putting out 89PS and 220Nm. The Swift leads the Multijet brigade with its 1.3-litre engine producing 75PS and 190Nm. The Punto being more like a factory store, offers the same engine in two states of tune  75PS / 197Nm and 90PS / 209Nm. Even for the diesel line-up, the Swift claims the title for best fuel economy with 22.9kmpl, followed by the Elite i20 at 22.54kmpl. The Punto 90PS claims 21.2, while the 75PS tune manages 20.5kmpl. The Polo is the least with 20.14kmpl. However, we believe that the new Polo is the benchmark for engine performance in this segment, so it would be interesting to see how the competition shapes up on the road. On the pricing front, the Maruti Suzuki Swift is the cheapest petrol car out of the four, starting at Rs 4.42 lakh. The Punto and the Elite i20 follow, with prices starting at Rs 4.56 lakh and 4.99 lakh respectively with the Polo's base model starting at almost Rs 5 lakh. For the top-spec trims though, the i20 is the priciest with a tag Rs 6.47 lakh, followed by the Punto at Rs 6.66 lakh, the Polo at 6.07 lakh and the Swift at 5.66 lakh. For the diesels, the Punto starts the lowest at Rs 5.27 lakh, followed by the Swift at Rs 5.46 lakh, the i20 at Rs 6.10 lakh and the Polo being the priciest again at Rs 6.27 lakh. The top spec trims cost the most at the Hyundai camp with the i20 Asta priced at Rs 7.67 lakh, followed by the Polo at Rs 7.37 lakh, the Punto at Rs 7.2 lakh and the dated Swift at Rs 6.71 lakh. 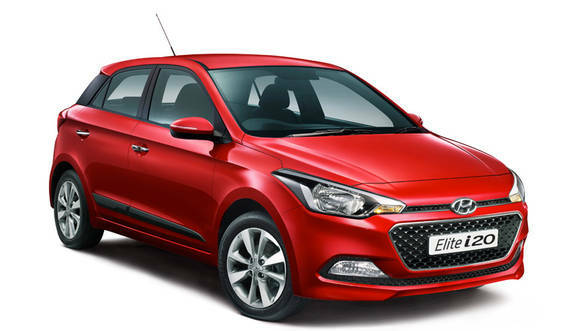 The Elite i20 seems to have got its pricing sorted pretty well again, while neatly maintaining its position as a premium offering. But whether it can justify the price with a real-world performance to match, remains to be seen. The Swift facelift is a few months away and so is the able all-new Jazz, which finally inherits the diesel from the City. The premium hatchback segment then, is about to getter hotter than ever.